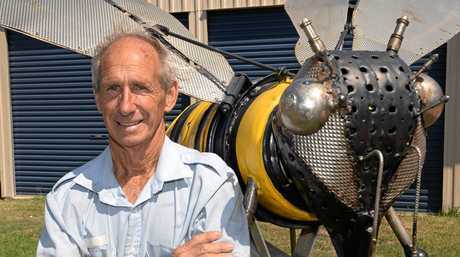 BUNDABERG'S famous "bee man" has been left with broken ribs, a fractured nose and a black eye after fending off teenage intruders in the early hours of yesterday morning. Ian Finnis and his carer, Wendy Collins, were asleep in their Avenell Heights home when Mr Finnis heard noises coming from the garage. The 74-year-old went to investigate and found two people in dark clothing going through the two cars. In response, he yelled out and gave chase as the pair fled on foot down Honeybee Court, which was named in his honour. Mr Finnis didn't get very far when he heard Ms Collins' screams echo down the street - she'd discovered someone still inside the home. "I didn't realise someone was in the house - I thought it was just the two I chased," he said. Mr Finnis bares the physical wounds of the attack, but for Ms Collins the effects have been much more emotional. She was visibly shaken as she relived the moment she went to check on Mr Finnis in the middle of the night and came face-to-face with a "solid" young man in the darkness. "I've always been a really strong person and now I am having problems with this and it's really shitting me off," Ms Collins said through tears. "It seems silly but it has taken everything from within me." She said the alleged offender first pleaded with her, saying "he was homeless and didn't want to hurt anyone - he just wanted help". "I must have screamed loud because Ian came running back," Ms Collins said. 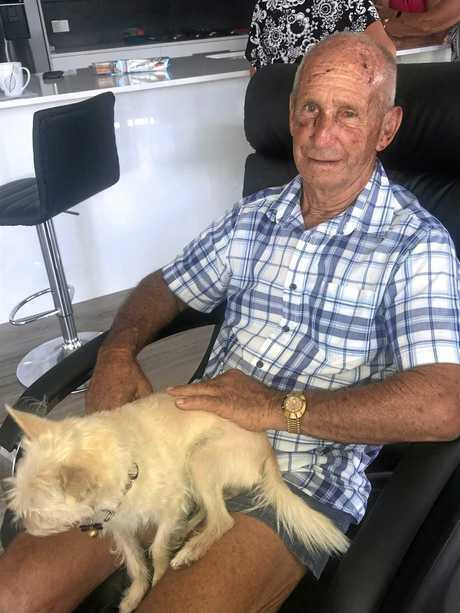 A Bundaberg ambulance officer for 47 years who later famously sold honey, Mr Finnis said the fact "they've destroyed Wendy" is what has hurt more than the broken bones and bruises. Mr Finnis grew up on McCarthy Rd and said he and Ms Collins had moved into the home, which was built just three months ago. "I was born and bred in this area and nothing like this has ever happened before," he said. 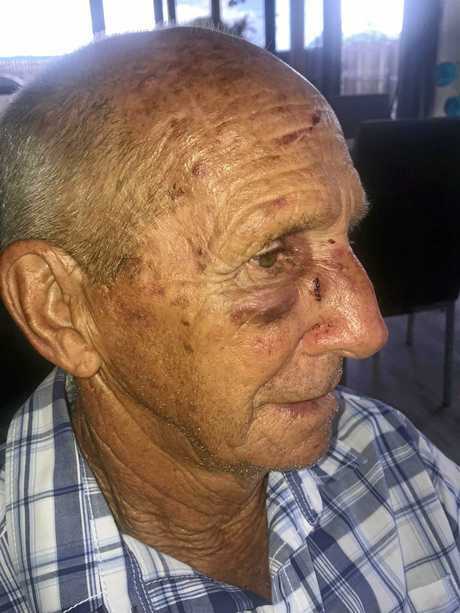 "It was a fair dinkum attack - I was kicked and had my eyes gouged and he had his hand around my neck." The pair said the alleged offender than went to nearby vacant land and started to yell to his friends to return. "He kicked me and then ran to the land next door and started yelling that I was going to kill him," Mr Finnis said. "Then the other two returned to their car, and they start yelling they were going to come back and get us." Mr Finnis said was speaking out as he wanted the community be to vigilant. "It's not OK for anyone to come in to your home in the middle of the night or ever," he said. "They were just opportunist and probably thought I'm just an old fella and won't be able to do anything. 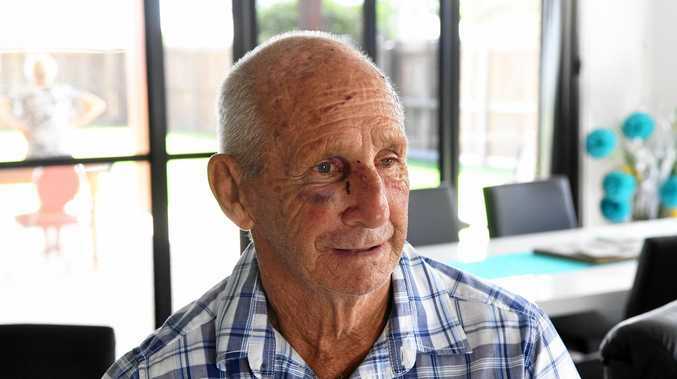 "He (the alleged offender) was fairly strong and I'm 74, but reckon I'm fairly fit - he may have tossed me around like I was nothing, but I hope they know not to come back." The night after the attack the pair didn't get much sleep. Ms Collins said she's had nightmares and Mr Finnis found himself constantly double checking every door and window was locked. 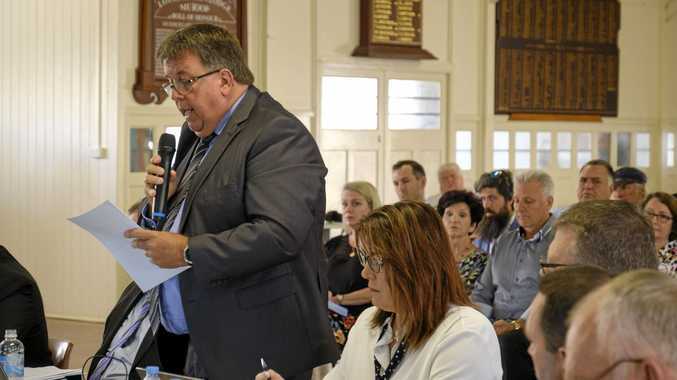 "It was just one silly mistake of leaving the roller door open and now we find ourselves on edge with every noise," Mr Finnis said. "I just want people to know this is not OK."
Bundaberg police later arrested a 17-year-old boy who will face the Bundaberg Children's Court this month charged with serious assault and burglary. Police say he was with a 15-year-old girl and 17-year-old girl when they forced their way into a house on Honeybee Court in Avenell Heights between 1.30am and 2am on Monday.